Corporate Wellness: Is Obesity Really a Disease? While I have no doubt this decision will affect everyone due to the change in how insurance companies view and care for obesity, I find myself wondering whether obesity truly should be considered a disease. Some will argue it fits the definition of a disease. People die of obesity as they would cancer, while others feel people actually die of the diseases from the metabolic dysfunction, which in turn causes obesity. It’s a very complex issue that has already created quite the debate, and surely there is more to come. One thing is for sure: By classifying obesity as a disease that is costing insurance companies and Americans more money, there will be increased pressure on associated industries to work together to find a “cure.” As an example, obesity needs to be measured differently on a universal scale. The current standard is Body Mass Index (BMI) and because of this simplistic means of measuring one’s height versus weight, the Council on Science and Public Health actually recommended against classifying obesity as a disease. It is not uncommon for someone with a BMI above the recommended level to be healthy and free from metabolic dysfunction. On the other hand, it is equally normal to have someone who is within the recommended BMI range with an unhealthy amount of body fat and suffering from the same metabolic dysfunction. The first person would be overtreated, while the latter would go untreated. If a more inclusive method for identification and diagnosis is implemented. BMI alone is not sufficient or even accurate in some cases. If each case is handled separately. With different causes of obesity and metabolic dysfunction, there will be multiple successful methods. Lifestyle changes should play a role in all cases to some degree, and including these changes should be a priority. More resources need to be applied to further research and education of causes, treatments, and prevention of obesity and metabolic dysfunction. What do you think? Comment below and watch for part two in this three-part obesity series, on the causes of obesity. Body Mass Index (BMI) vs. Body Composition: These measurements are used in the healthcare and corporate fitness worlds to help identify risk for heart disease, diabetes, stroke, and cancer. But which is best? Many experts reason that both tools can be useful in different circumstances. BMI is calculated by dividing weight (kg) by height (m²). Although it takes into account only these two factors, it can generally identify levels of fatness in most people, and has more of a place when a simple, general assessment of a larger group is needed. 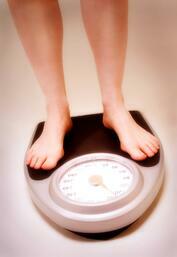 Labels of “underweight,” “healthy,” “overweight,” and “obese” are used to describe BMI ranges. The drawbacks of BMI are manifested in a couple of ways. Someone who possesses a great amount of muscle mass may be classified as overweight or obese, when in reality they are in superior shape. An unconditioned individual can be classified as being at a healthy weight when muscle mass is actually lacking. This is where measuring body composition is valuable. Body composition separates fat mass from lean mass and provides a better assessment of an individual’s health status. The limitations of body composition are that it’s not quite as simple and may not be practical for use in assessments of large groups. The simplest means of measuring it are by scale, handheld device, or skinfold testing and include some margin of error. While most accurate, underwater weighing or air displacement can be complicated and time consuming. When embarking on a fitness program, it’s a good idea to track your body composition to help you measure your progress. This will allow you to have a much better idea of how your body is changing for the better with the effects of resistance training and cardiovascular exercise. Evaluate how you can do better for your employees with fitness offerings at your worksite. Check out these 4 tips to improve your services, click below. 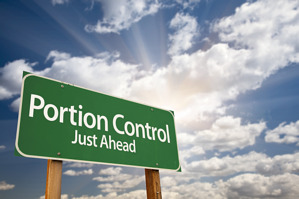 This blog was written by Mara M. Winters, HFS. Meet our blogging fitness specialists at the NIFS website. Slow and steady. These are the two words that participants in the Pound Plunge, Richmond Wellness Center’s weight-loss contest, frequently hear from me as I coach them through eight weeks of total body transformation. To the dismay of many, weight loss is not an instant process. Many wish they could achieve their ideal weight in only a couple of days, but according to the Centers for Disease Control and Prevention (CDC), a one- to two-pound per week weight loss rate is successful and safe. Can you lose more than two pounds a week? Yes, it is possible. Most often, in the beginning of a weight-loss program, you may see that it is easy to lose more weight. As you diet and exercise, your weight loss will slow down and you may hit a weight-loss plateau. But how do people rapidly shed pounds? We see celebrities do it all the time; however it takes extreme measures that are not recommended. Starvation: There are many starvation diets that call for very low calorie intake. You may lose weight, but side effects of this type of dieting include emotional changes, slower metabolism, weight regain, and of course the uncomfortable feeling of being hungry all the time. Low-calorie diets are hard to stick to. Overtraining: You could spend eight hours a day working out. That would burn a huge amount of calories. However, most people cannot dedicate such a large amount of time to training. This type of workout regimen is hard to follow and can lead to overuse injuries, which don’t leave you feeling good, either. Try lowering your calorie intake without starvation. With nutritional control plans such as Weight Watchers®, you can have a variety of foods and feel good, too. The one- to two-pound a week weight loss rate allows for greater adherence to a weight-loss program. You are able to focus on manageable ongoing lifestyle changes through diet and exercise. Greater long-term success is seen with gradual weight loss. Slow and steady may not be the most exciting method, but a wise turtle once said it always wins the race. NIFS Nutrition News: Take It Off, Keep It Off! 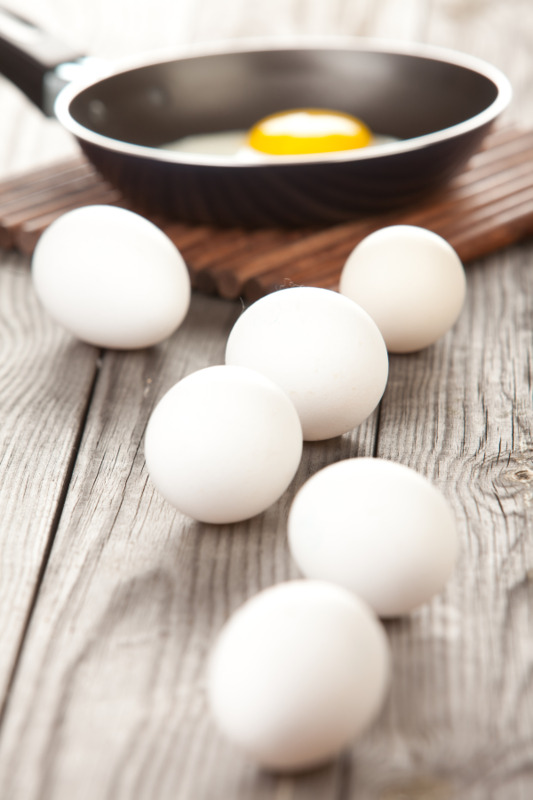 This blog was written by Angie Scheetz, RD. Meet our blogging fitness specialists at the NIFS website. I love what I do. Seeing people succeed with their weight-loss goals is one of the most rewarding feelings as a dietitian. However, it can also be very challenging when I see clients revert back to old habits and struggle to keep off the weight that they worked so hard to remove. Keep a food journal. Individuals who keep food logs tend to eat 40 percent less because they are writing it down. Also, a recent study found women who kept a food journal lost 6 pounds more than those who didn’t. 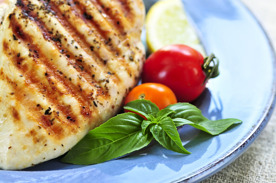 Some excellent online food tracker sites include My Daily Plate and Choose My Plate. Free apps for your smartphone that are highly rated include My Fitness Pal and Lose It. Practice portion control. As a society we are terrible at eyeballing portions! The secret to success is consistently measuring food items to make sure you are eating the same amount you are journaling. The simplest way to do this is to use measuring utensils to dish out your meals and to associate common items to certain portions. For example, a serving of meat should be the size of a deck of cards, a baked potato should be the size of a computer mouse, a half-cup of pasta is the size of a tennis ball, and a teaspoon of oil is the size of one dice. Don’t skip meals. Lots of people think if they skip a meal they will be decreasing the total calories they are taking in for the day. In reality, the opposite usually happens. When someone skips a meal they typically end up overeating at a different time of day to compensate for missing out on the food that their body needed. Also, whenever you skip a meal it makes your metabolism work at a slower rate and, therefore, makes it harder to lose weight. Eating balanced meals and snacks throughout the day is the best way to stay on track! The more you follow these rules, the higher chance of success you will have in keeping off the weight. For more information or to set up an individualized nutrition appointment, contact me at ascheetz@nifs.org. This blog was written by Mara M. Winters. Meet our blogging fitness specialists at the NIFS website. Hit TV shows about weight loss such as The Biggest Loser and My 600-lb Life continue to excel in ratings, and we are bombarded daily with new information about how excessive weight negatively affects health. However, U.S. obesity prevalence remains high. Recent studies show that overall obesity prevalence in the U.S. is 35 .7 percent in the adult population and 16.9 percent in children. Over the past two years (2009–2010), there were significant increases in obesity for men of all ethnic backgrounds compared to data from the previous studies (1999–2010). There were no significant increases among women overall, but researchers found statistically significant increases in African-American women and Mexican-American women. Another sobering finding of the studies is that children are going into adulthood weighing more than ever before. While this report seems a bit grim, there is hope. The Journal of the American Medical Association reports that over the past 12 years, the obesity rates among adults and children are not increasing. While no one can say exactly why there has been a stall in the obesity rates, most experts are hopeful that national campaigns in promoting healthy eating and exercise are having some type of effect. 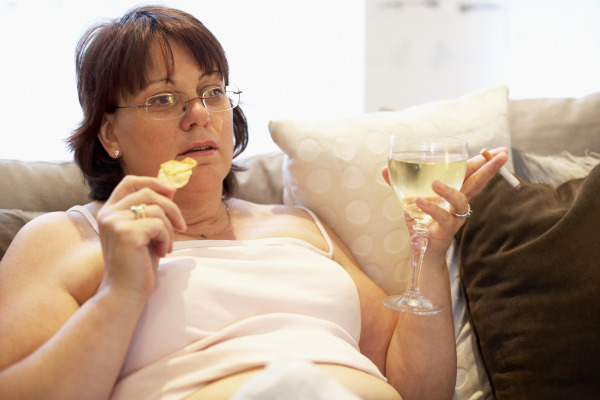 We know that obesity costs the U.S. $147 billion every year and is a major health problem. While it seems U.S. weight gain has leveled out, we will still feel the effects for a while. Take advantage of wellness services available to you to reduce problems caused by obesity. Life expectancy in the U.S. in comparison to the rest of the world is quite impressive: 78.7 years versus 69.2 years. Much of this difference is due largely to advanced medical and preventative care; however, many analysts worry that this number will soon plummet due to a high population of American smokers and the ever-alarming prevalence of obesity in the U.S.
What would our life expectancy stats look like if it weren’t for smoking and obesity? When you look at each factor individually, it’s plain to see that we would boast one of the highest—if not the highest—expectancies in the world. The facts below speak for themselves. Tobacco Use in the U.S. The Centers for Disease Control and Prevention estimate that longtime smokers lose about 14 years of their lives to their addiction. Tobacco use accounts for about 30% of all cancer deaths and 87% of lung cancer deaths in the U.S.
Tobacco use is responsible for nearly one out of every five deaths in the U.S., and is the largest cause of preventable death. Secondhand smoke causes nearly 3,500 nonsmokers to die of lung cancer and 46,000 nonsmokers to die of heart disease each year. 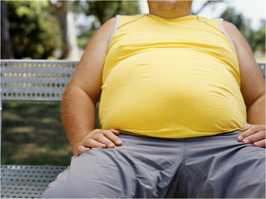 Accompanying obesity are numerous risks and ailments that pose serious threats to one’s health and well-being. Researchers have discovered that overweight and obese cancer patients are at a greater risk of experiencing complications related to treatment as well as premature death. In general, overall mortality increases with a body mass index (BMI) of 25 or more, and a BMI greater than or equal to 30 multiplies one’s risk of premature death—especially from cardiovascular disease—by 50 to 100%. Is your corporation a tobacco-free workplace? How do your workplace wellness programs help promote tobacco cessation and quitting smoking? How can weight-loss programs help your employees live longer, healthier lives? Portion sizes can be tricky. Your employees have probably heard before that a serving size of meat is similar to a deck of cards. Or a serving of cheese is equivalent to four dice. However, when you’re loading up that plate at dinner time, your hungry stomach can you fool you into thinking that one serving of meat should look more like three decks of cards than just one. Measuring by ounces or cups can be even trickier. One cup of pasta constitutes an entire serving, but chances are our plates are full from edge to edge with noodles. One diet tip I’ve read before is to start using smaller dinner plates—that way, your plate will look full with less food. To even better visualize proper portion sizes, try using a portion-control plate. These fancy meal inventions have outlines or even full illustrations depicting how much of your plate should be filled with each food group. They come in different versions for adults, children, and even diabetic populations. The most common version illustrates that half of your plate should be filled with fruits and vegetables, leaving one-fourth of the plate for a lean meat or protein and another fourth for whole grains. Now, say you do a lot of entertaining in your home, and you want a more sophisticated look for your dinner plates. I’ve now seen portion-control plates that are subtly designed, using a floral pattern for example, to still show you the outline of where your foods should be fitting! Starting with dishware, we can introduce tools into the household to make dinners easier and healthier. 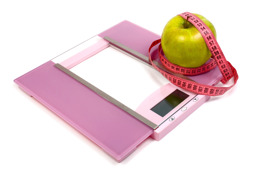 Emphasize the importance of portion control in your corporate health and wellness program. With a culture that is on the go constantly, and whose entertainment consists of watching hot dog speed-eating contests, how do we reinforce the truth that eating more slowly can fend off obesity? Firstly, it takes around 20 minutes for the brain to signal to the stomach that it’s full. If we’re eating our entire meal in five minutes, the stomach doesn’t get that signal until it’s too late to stop eating. Secondly, the more time we take eating our meal, the more conscious we are of what and how much food is going into our bodies. One thing corporate health and wellness programs can do to assist in the matter is to make sure employees don’t always have rushed lunches. Sure, there may be days where a meeting-booked employee has to eat on the run, but companies should take a look to see whether rushed eating is the norm in their workplace. Stress to your corporate wellness clients to use the full hour lunch break and avoid working and eating simultaneously if avoidable. Even taking a few minutes to breathe and de-clutter the mind before eating can remind someone to slow down and savor meals—thus putting thought into eating, saving money in healthcare, and sparing extra pounds on the body. 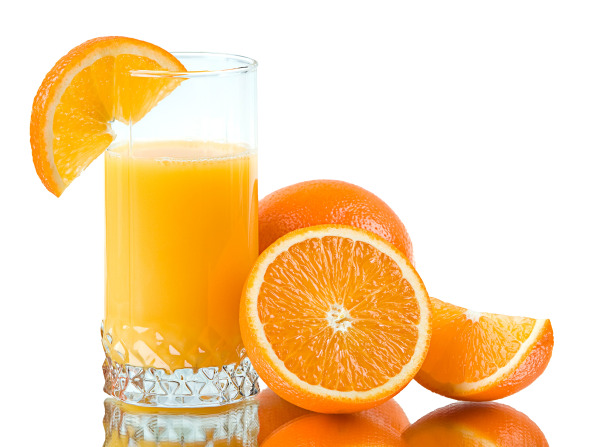 Corporate Wellness: Is Fruit Juice as Healthy as Whole Fruit? We pretty much know that fruit is healthy for us, right? It’s a great source of vitamins, minerals, fiber, and disease-fighting antioxidants that are essential for health. Did you also know that the number of servings that ChooseMyPlate (the USDA replacement for the food guide pyramid) recommends we consume is up to 2 cups? You, like me, probably don’t meet those recommendations every day, do you? Whether it’s the cost, storage, or preparation, eating fruit is not always simple. That’s why many of us turn to fruit juice as a way to cover all our nutritional bases. It is important to note that the study tested 100 percent fruit juice. Many of the fruit juices available at the grocery store contain only a small percentage of fruit and plenty of added sugar and other chemicals. This means you’re also getting a lot more calories from a serving of juice than you would if you had just eaten a piece of fresh fruit. If you have ever tried to lose weight before, you’ve probably heard that an easy way to reduce your calorie intake is to reduce the number of calories you get from drinks. Additionally, eating a whole apple is going to provide much more satiety on a reduced-calorie diet than an eight-ounce glass of apple juice. Why is the apple so much more satisfying? Part of the feeling of fullness it creates is the fiber content that comes from the skin of the apple. The skin on fruits like grapes, apples, cranberries, and pears get left out of the mix when these fruits are used to make juice. If you are looking to ensure that you’re getting all the vitamins, minerals, and health benefits supplied by fruits, 100 percent fruit juice can be a healthy option. But I wouldn’t rely on fruit juice to replace whole fruit all the time. 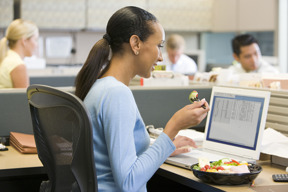 Does your corporate wellness program provide your employees access to a registered dietician? There is a lot of confusing and conflicting information out there regarding health and nutrition. Ensure you’re getting the best advice about your diet by seeking the help of a degreed and licensed dietician.